Hey kids…Ever wanted to be on the field with Project Turnabout’s Barry? Well here’s your chance! 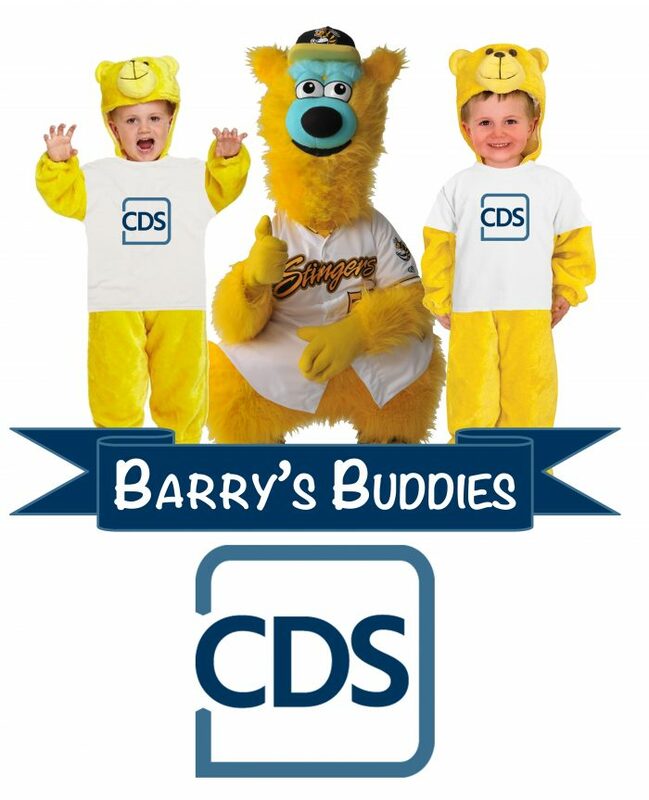 Thanks to Conway, Deuth & Schmiesing (CDS), you have the opportunity to sign up to be one of Barry’s Buddies at a Willmar Stingers home game this season! Two lucky participants (ages 5-13) will have the opportunity to dress up like Project Turnabout’s Barry and accompany him on the field during the pre-game ceremonies or during a between inning promotion! Plus, each of Barry’s Buddies will receive tickets for their entire family along with concession vouchers good for a hot dog, bag of chips and a can of soda or water! Sign up using the form below to enter for your chance to take part in this great opportunity! Please enter a number from 5 to 13. Please note, this isn't a guarantee to be the game selected, but does help us plan out a schedule for kids to participate.